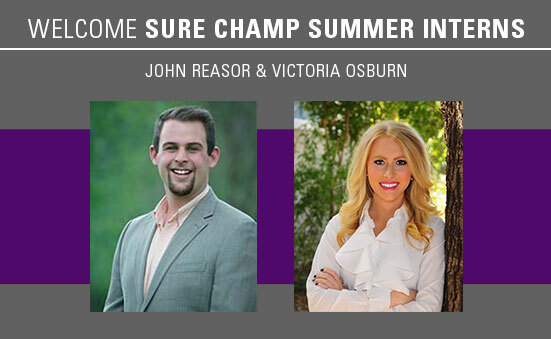 BioZyme is excited to announce our 2016 Sure Champ summer interns: John Reasor, Sales Intern, and Victoria Osburn, Public Relations Intern. The Sure Champ summer internship program offers college juniors and seniors a variety of experiences related to sales and marketing in the livestock nutrition business, both in an office and field setting. Interns travel to various junior nationals and trade shows across the country promoting BioZyme’s supplement brands, as well as spend time working with current dealers. John grew up outside of Chattanooga, Tennessee, in Wildwood, Georgia. John is heavily involved in his family operation, Reasor Farms. 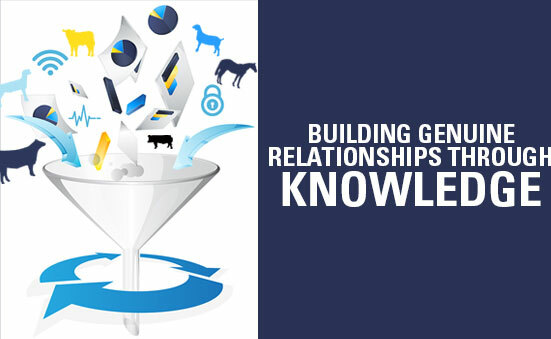 The operation started as just a small commercial cow-calf operation but quickly grew into a Shorthorn and Angus herd that relies on embryo transfer technology for continue growth. John is expected to graduate from Oklahoma State University’s Department of Animal Science in May of 2017. Victoria hails from Celina, Texas, and has shown cattle for more than 10 years. Primarily showing Shorthorns, she has served as the National Shorthorn Lassie Queen and President of the Texas Junior Shorthorn Association. Victoria is currently attending Texas Tech University working toward a degree in Agricultural Communications with a minor in Animal Science. If you see John and Victoria at events throughout the summer, please introduce yourself and say hello! Prior to BioZyme, Gabler worked as a Livestock Nutritionist and Marketing Manager for Complete Feed Service in Sharon, Wisconsin, and as a Cattle East Team Sales Representative for Sedona Ag representing Elanco Animal Health in Dubuque, Iowa. He was also a Calf and Heifer Specialist for NRV Inc. in Ixonia, Wisconsin. 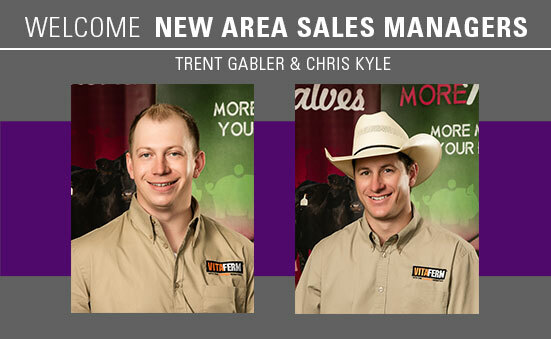 Gabler graduated from the University of Wisconsin at River Falls with a degree in Agriculture Marketing Communications and a minor in Animal Science. He is a member of the American Angus Association, American Red Angus Association and Wisconsin Angus Association. Representing BioZyme in the Arkansas and Louisiana areas, is new Area Sales Manager, Chris Kyle. “Not only does Chris bring a vibrant and energetic work ethic to the table, but he also has a wealth of knowledge in the equine industry. I am extremely excited to see the impact that Chris will make in this territory,” said Alan Lee, BioZyme Director of Sales-North. Chris, his wife, Lacee and two children, Coree and Kit, are active in the rodeo community and love to hunt and fish. Kyle has a degree in Ag Business from the University of Arkansas at Monticello. A good appetite is a sign of a healthy animal, but can sometimes be hard to maintain, especially in the summer months. 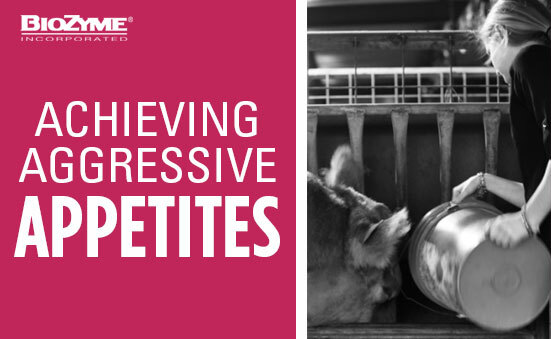 Here are six quick tips for promoting a steady appetite in your livestock. Water is one of the most important nutrients for your livestock and often one of the most overlooked. Your livestock need access to clean drinking water in order to maintain optimum health. Monitoring your animal’s water quality is an inexpensive and effective way to promote healthy livestock. Whether you get your feed fresh from the mill or use a pre-mixed ration from your local feed store, your animals become accustomed to certain textures and smells. 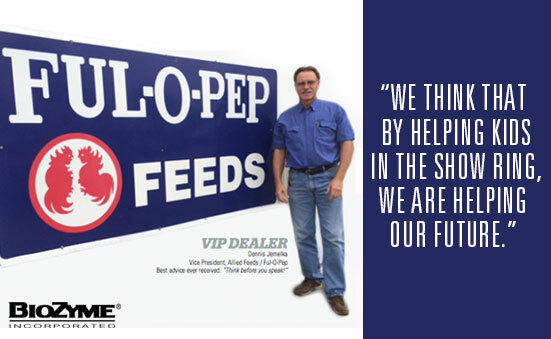 Stay consistent in where you purchase feed as well as the length of time you store feed. Also, if you need to transition to a new formula, mix the new feed in gradually so your animal adapts easily and stays on feed. Loss of appetite is one of the first signs of heat stress. Keeping your animals cool by providing shade, proper ventilation and air circulation will help keep them on feed. Check out recent articles on proper circulation, ventilation and tips for managing heat stress in cattle at www.surechamp.com/blog. It is important that your animal’s bedding is cleaned on a regular basis. Clean, dry bedding helps prevent the spread of disease and bacteria and promotes overall health in your barn. Healthy, comfortable animals naturally have more appetite. A sudden drop in appetite might be an indication of parasites. Performing routine deworming and wellness monitoring of your animals will help prevent problems from occurring. 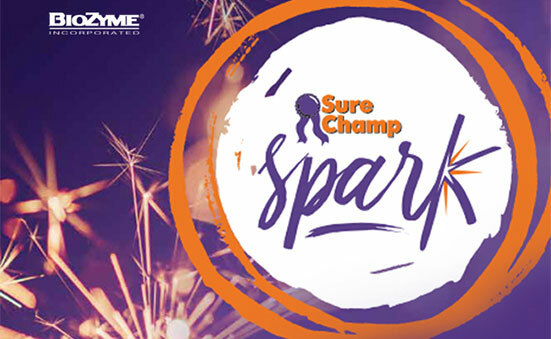 Top-dressing feed with Sure Champ® and/or Sure Champ Spark will help ensure appetite and intake stays more consistent. However, sometimes a poor appetite can be due to other unforeseen circumstances or stressors. If your animal’s loss of appetite is due to stressors such as sickness, hauling or heat, administering Vita Charge® is a great next step. Vita Charge provides a powerful dose of vitamins, B vitamins and the Amaferm® advantage for those stressful times when livestock need protection or assistance in recovery. It can be easily administered as a paste, stress tub or even through your animal’s water. 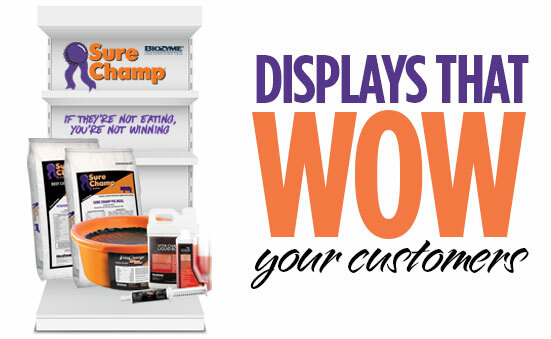 With the summer show season heating up, now is the time to make sure your customers are using Sure Champ. Sure Champ is a natural line of supplements for show livestock with the Amaferm® advantage, which acts as a prebiotic improving gut health, stress recovery, appetite and overall performance. Sure Champ enhances skin, hair quality and bloom for that show-ready look. Each Sure Champ formula is species specific and due to the vitamin and mineral composition should only be fed to the species for which the product is labeled. Sure Champ is a complete vitamin and mineral supplement, and therefore alleviates the need to feed any additional mineral sources. Feed daily to improve digestibility, stimulate appetite and optimize health. Sure Champ contains Amaferm, research-proven to increase water and feed intake. In addition, research shows that Amaferm decreases body temperature in heat-stressed animals. A multi-species product that can be fed to all livestock. Can be used as a top-dress or mixed into the ration. An easy way for show livestock to receive more of the Amaferm advantage when an aggressive appetite is needed. Feed in addition to Sure Champ for optimal results. Includes MOS to trap bad bacteria, limiting their ability to do harm to digestive health and intake. Formula contains no vitamin or mineral supplementation for increased flexibility in a wide range of feeding programs. Because show animals are under constant stress due to trying to get the most out of nutritional programs, hauling and fitting, changes in environment, etc., it is almost certain their digestive system will be compromised or they will go off feed at some point in their lives. Being armed and ready with Vita Charge is an excellent way to combat those stressful times and ensure your livestock are back on feed fast. As a dealer, selling Sure Champ and Vita Charge together as complementary products is ensuring the utmost preparation and care for your customers and their animals. 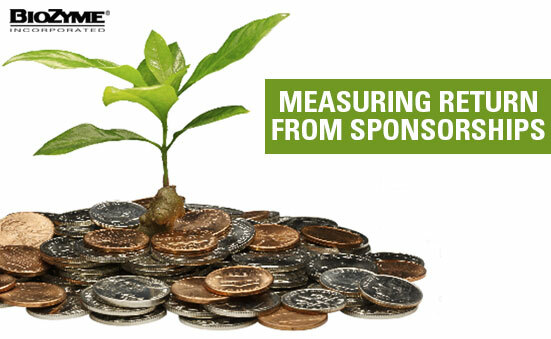 Sure Champ® has experienced significant growth during the past six years. What has driven this success? 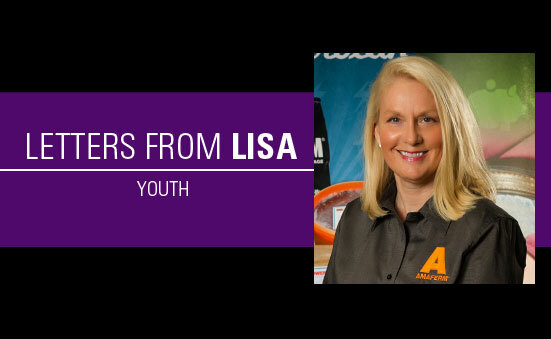 Supporting young people involved with livestock. I know you are wriggling your nose right now, and thinking this lady is nuts. While whether I am nuts or not is debatable, my response is not. We may believe helping young people doesn’t grow sales or pay bills. However, an investment in youth is an investment in our future. And, making an investment in the future doesn’t always pay off right before your eyes or even in your lifetime. The pay off may be after you are long gone. BioZyme®, under the leadership of Bob Norton, started supporting youth involved with livestock in 2007 when it became the title sponsor of both the Junior National Hereford Expo and the National Junior Angus Show. Why? Bob believes helping youth matters. How to receive criticism and how to ask the right questions to improve. How to work hard and push just a little bit longer. How to evaluate livestock and to defend themselves verbally in front of a judge. How one small tweak can be the difference between a win or a loss. That sounds like the perfect applicant for every position we have at BioZyme. On a broader scale, without this type of a workforce in our future, our country will never reach its full potential. If you are still asking why we do this, let me reiterate that these young people are our future. More importantly, they are agriculture’s future. For them, the livestock experience matters. And making kids feel like they matter, well… that matters to us.